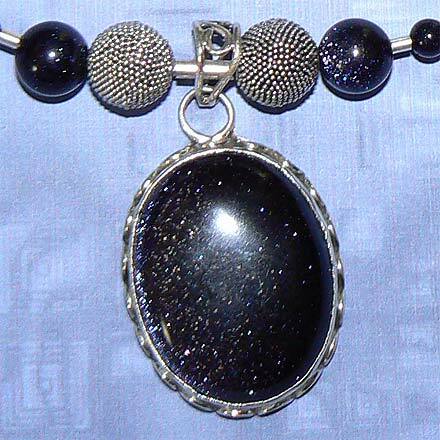 Sterling Silver Blue Goldstone Necklace. See Closeup. 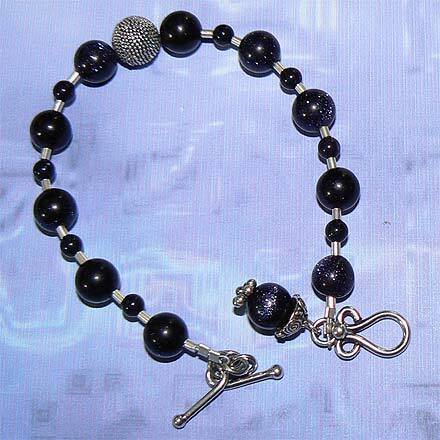 Sterling Silver Blue Goldstone Bracelet. 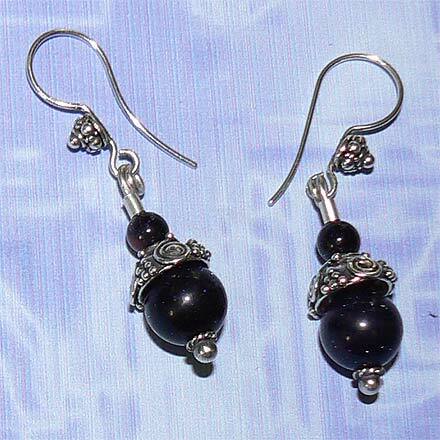 Sterling Silver Blue Goldstone Earrings. Unlike the other semi-precious stones that I sell--either mineral or organic--Goldstone is one of the few man-made stones I will offer. (As of this writing, it is the only man-made stone I offer) I was reluctant to at first, but it's just so amazing! The blue variety reminds me of my own paintings. It is made with tiny copper flakes suspended in glass, and I read the process is an old, guarded secret developed by Italian monks centuries ago. 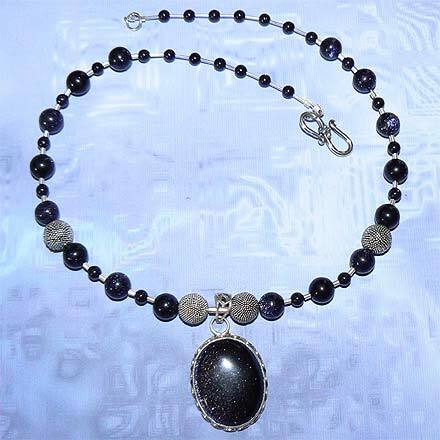 The necklace is 17½" and comes with a 1.7" pendant. The bracelet is 8¼".